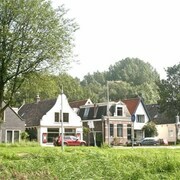 These apartments are located throughout the area in Amsterdam. Amsterdam North is a neighbourhood that people enjoy for its fantastic nightlife. Here you'll find plenty to visit, including NDSM Werf and Eye Film Institute. 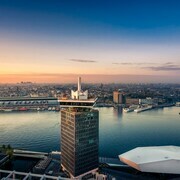 Amsterdam North is a great base for exploring the greater Amsterdam area, especially with so many hotels to choose from. Sir Adam Hotel: 4-star hotel featuring a restaurant, a nightclub and a fitness centre. Our guests enjoy the hotel's comfortable rooms and proximity to public transport. 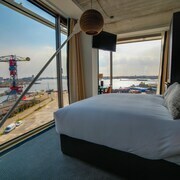 DoubleTree by Hilton Hotel Amsterdam - NDSM Wharf: 4-star hotel featuring a restaurant, a 24-hour fitness centre and a bar/lounge. Expedia travellers like this hotel's comfortable rooms and central location. 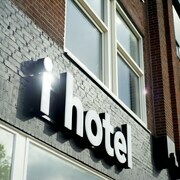 ClinkNOORD - Hostel: 2-star hostel featuring a restaurant, a bar/lounge and free WiFi. 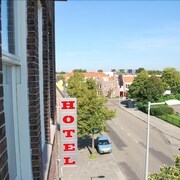 Our guests rate this hostel highly for its central location and breakfast. A few attractions you might want to check out while you're in Amsterdam North are NDSM Werf and Eye Film Institute. Nes and Nemo Science Museum are a couple of other sights to visit in the neighbourhood. Amsterdam Noord is a nearby neighbourhood with attractions like Eye Film Institute, NDSM Werf and IJsselmeer.